Trends in home remodeling projects are constantly shifting based on consumer demand and tastes. That said, the top spots have been occupied by two projects that seem to enjoy consistent popularity no matter what the latest trends are. The National Association of Home Builders keeps tabs on home remodeling with its quarterly Remodeling Market Index (RMI) Survey, and the results of the fourth quarter survey for 2013 are just in. Read on to learn about the five most common home remodeling projects, and find some inspiration for your next project! Edging out the top spot is bathroom remodeling, a home improvement project that has been the most popular in the RMI since 2009. 72% of NAHB remodelers reported doing a bathroom remodel in the last quarter of the year. The reasons for the popularity of this project aren’t hard to see. Bathroom remodeling consistently adds space, appeal, and value to this part of the home. Modernizing an old bathroom as it goes out of style is another reason for its strong showing. Finishing in second just under bathroom remodeling is kitchen remodeling, with 70% of remodelers reporting have done one of these projects in the quarter. 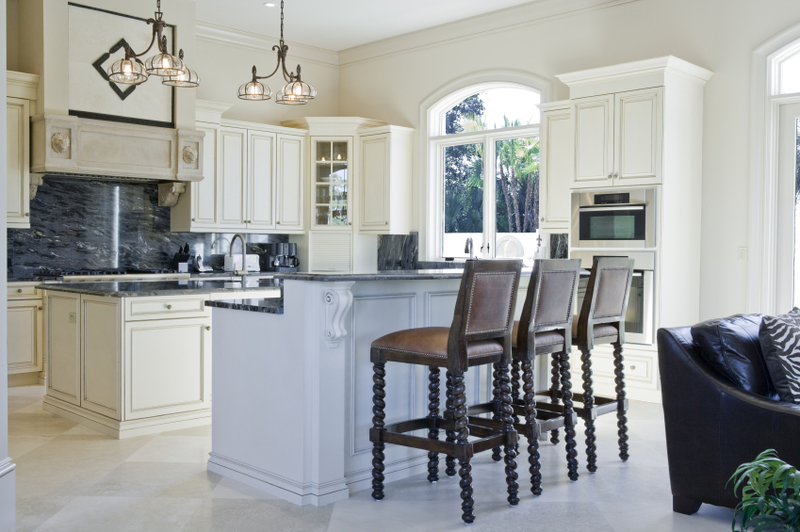 As one of the most used rooms in the house, kitchens stand to gain a lot from an overhaul. New appliances, more space, an improved workflow design, and aesthetic appeal are all reasons that Americans love to remodel their kitchens. Coming in third was the installation of new windows and doors, at 40%. Not only do new windows and doors add a fresh new look to a home, they also do wonders for energy efficiency. New doors are better sealed to prevent drafts, and the latest in energy efficient and Low-E windows work to reduce your heating and cooling costs by allowing heat energy inside in the winter, and reflecting it back outside in the summer. In fourth place is whole house remodeling. An ambitious undertaking for sure, Americans seem to be undaunted by the task, as 39% of remodelers reported remodeling an entire house in the quarter. Whole house remodeling can completely transform the look and feel of a home, as well as update it with the latest in technology, building materials, and energy efficiency. Room additions are the fifth most common home remodeling project. Popular for their ability to add square footage and value to a home, room additions continue to be a common home improvement trend. This entry was posted on Wednesday, July 30th, 2014	at 8:28 pm	. You can follow any responses to this entry through the RSS 2.0	feed. Both comments and pings are currently closed.